The principal aim of the INSC is to provide a scholarly environment conducive to promoting exchanges between an array of disciplines to facilitate research and related academic activities in collaboration with colleagues worldwide. The topics covered by the conference include applications of nonlinear dynamical systems theory and techniques to problems encountered in any area of the behavioral, social and life sciences including psychology, sociology, economics, management sciences, anthropology, aesthetics, education, biology, physiology, ecology, neuroscience and medicine. One or more of the following nonlinear concepts must be an explicit part of the presentation: attractors, bifurcations, chaos, fractals, solitons, catastrophes, self-organizing processes, cellular automata, agent-based models, network analysis, genetic algorithms and related evolutionary processes, econophysics, dynamical diseases, or closely related constructs. The broad mixture of the disciplines represented here indicates that many bodies of knowledge share common principles. Contributions from other disciplines such as computer science, mathematics and engineering are also welcome provided the main focus of the paper is an application of nonlinear science in the behavioral, social or biological sciences. Areas covered by the conference include: complex organizations, methods, epistemology, psychological processes, health and public policy, economy and finance, emotion and motivation, physiology and biology, social issues, education and development, nonlinear dynamics of the psychobiological adaptation to exhausting exercise, nonlinear models of processes in psychotherapy and psychopathology, work and management, stimulating evolution in human systems with compelling complexity metaphors. David Pincus, Ph.D., Assoc. Professor of Psychology, Chapman University, Orange, CA USA and President, Society for Chaos Theory in Psychology & Life Sciences. In hard science a new theory must be capable of being falsified, and therefore must produce testable predictions, which can lead to genuine cumulative knowledge within the domain where repeatable experiments are possible. In complex systems however, our understanding is based on less severe selection criteria, as repeatable experiments and exactly comparable situations and histories never really occur. 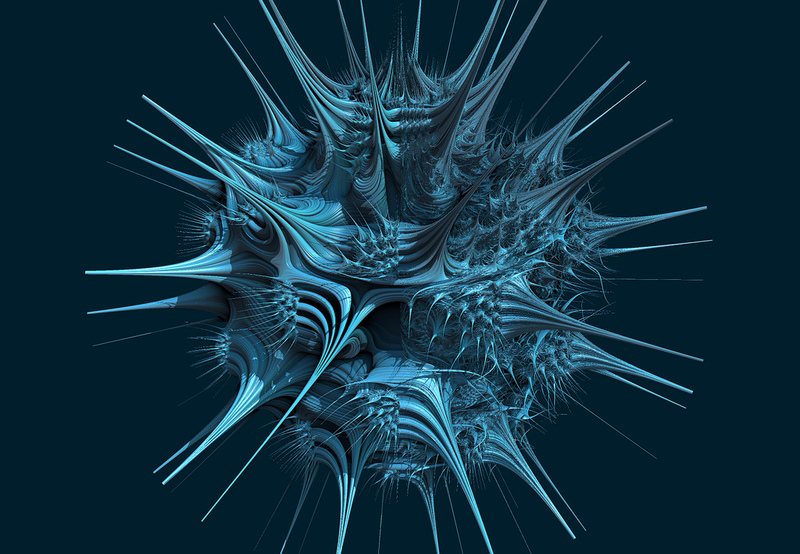 Living systems create a world of connected, co-evolved, multi-level structures which although temporally, sufficiently self-consistent to ‘operate’ for a time, will inevitably evolve, adapt and change over longer periods. We shall present a number of real-world examples where successful emergence and persistence of structure and organization requires not only elements that obey the current rules but also internal layers, elements and individuals who, while inhabiting the current structure, have their own ideas about how satisfactory it is, and the freedom to try new ideas. Complexity therefore leads to temporally stable, paradoxical systems that include heterogeneous elements and layers with multiple views and perspectives. Instead of a single knowledge and truth we will find diverse beliefs and habits. Of course, strategy can gain from the imagination and modelling of new possibilities, and an attempt to evaluate different options. But if such models are believed (e.g. climate change) then they can and do change the behaviour that is included within them and become part of the political reality as. We will briefly illustrate these ideas for problems of social, economic and environmental change as well as such technical issues as electricity distribution and Smart Grids. Peter Allen is the founder of the Complex Systems Research centre at the Cranfield School of Management, UK. PhD in Theoretical Physics, was a Royal Society European Research Fellow 1969 - 71 and a Senior Research Fellow at the Universite Libre de Bruxelles from 1972 – 1987. 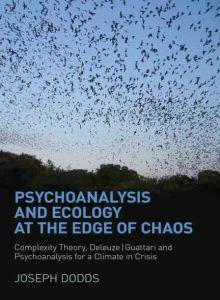 He has written and edited several books (for example, The SAGE Handbook of Complexity and Management edited jointly with Steve Maquire and Bill McKelvey London, Sage, 2011) and published well over 200 articles in a range of fields including ecology, social science, urban and regional science, economics, systems theory, and physics. Currently he is the Editor in Chief of Emergence: Complexity and Organization. ABSTRACT: Complexity spans over different scales, ranging from the atom to the large scale of the galaxies forming intricate geometric patterns. Complex emergent behavior can have different origins, but nowadays it is clear that beyond nonlinear interactions between units, a key role is played by the topology of interactions, forming networks of connections at all levels. Moreover, networks at different levels are interacting. In this talk we will review the different levels of description in living systems at which we find complex networks and show how they emerge at different scales and how they interact. This ranges from cellular scale by means of metabolic or gene regulatory networks to networks of individuals, like Facebook or Twitter, in our modern communicate society, or networks of interacting species in complex ecosystems. Albert Diaz-Guilera got his degree in Physics at Universitat de Barcelona (1983). PhD in Science at Universitat Autonoma de Barcelona (1987). Postdoctoral stays in Gorlaeus Laboratories (Leiden, The Netherlands) and "Centre de Physique de Solide" (Sherbrooke, Canada). His research is currently focused on general aspects of complexity, particularly in complex networks. Being by education a statistical physicist, his research lines had been broadening to cover aspects in many different fields: biology, economy, social sciences, computer science, linguistics. Direct collaborations with scientists with different backgrounds have been possible by means of stays in different centers (Mathematics at Imperial College London, Chemical and Biological Engineering at Northwestern University, Ecologia UNAM, Potsdam Institute of Climatogy, Potsdam Psychology, Sociology at ETHZ). Author of more than 70 articles in physics and interdisciplinary journals. He has given about one hundred of talks at conferences and research centers. Leader of the research group PHYSCOMP2, PI of projects from Catalan and Spanish Governments and EU. Coordinator of the Spanish network "Econosociofisica: Dinámica y fenómenos colectivos de sistemas socioeconómicos". Currently is Deputy Spokesperson of the Spanish node of the European Flagship iniciative "FuturICT". 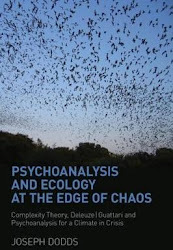 ABSTRACT: Complexity science offers a new, broader paradigm for understanding and intervening in developmental processes within and across personality and social dynamics. This address will begin with a review of empirical results applying nonlinear dynamics to the understanding of relationship development and group dynamics, with an emphasis on understanding the functional roles of rigidity and flexibility in health. Noteworthy conclusions from this line of research are that relationship structures appear to be self-organizing and fractal, with higher complexity generally associated with health. Next, we will examine complementary evidence for self-organization in personality structure, again with complexity operating as an index of health. Finally, these lines of research will be integrated within a general model of self-organization in biopsychosocial resilience. The aim of this general model is to guide future research applying nonlinear dynamics to health research, as well as to inform the development of novel interventions in psychotherapy and behavioral medicine. Dr. David Pincus began his career in 1991 as a youth and family therapist working in public mental health in WaukeshaWisconsin. He obtained his M.S. and Ph.D. in Clinical Psychology at MarquetteUniversity, followed by a clinical postdoctoral fellowship at the University of California Davis Department of Psychiatry. Currently, Dr. Pincus is an assistant professor within the faculty of psychology in the school of health sciences at ChapmanUniversity, the director of The Francis L. Smith Community Clinic, and licensed psychologist in private practice. He is the author of the recent book applying NDS to imagery-based psychotherapies: Imagery for Pain Relief: A Scientifically Grounded Guidebook for Clinicians. He also served as a co-editor for Chaos and Complexity in Psychology: The Theory of Nonlinear Dynamical Systems (Cambridge Univ. Press). In addition, Dr. Pincus has produced numerous other publications (e.g., journal articles, book chapters, workbooks, and instructional videos) to diverse topic areas in clinical psychology. ABSTRACT: The idea that natural selection acts on many levels -and not only at the level of organisms or individual genes- is increasingly accepted among biologists. However, it is not easy to reconcile this idea with the strictly "individualistic" conception of the evolutionary process that has always characterised Darwinian thought. In addition, the individuality of some forms of life is a vague concept and, therefore, it is controversial. This is the case of Candidatus Magnetoglobus multicellularis which discovery immediately inspired the following question: Does the concept of individuality have degrees? Alternatively, how far is this structure of prokaryotic cells from deserving to be called an organism? In this paper, we propose a new conceptual scheme based on an idea of individuality that is not limited to organisms and that makes sense in terms of Darwinian evolution. In this conceptual scheme, selection at levels above that of the individual-organism is interpreted as the evolutionary emergence of higher level individuality. This proposal may serve as a basis on which to construct an eventual hierarchical evolutionary theory. Jorge Wagensberg, Doctor of Physics, is professor of Irreversible Process Theory at the University of Barcelona. He not only investigates and disseminates science, but is also a dynamic promoter of the debate of ideas, which has achieved him Catalonia’s National Prize for Scientific Thought and Culture, among other awards. He is the director of Metatemas collection and responsible for the Scientific and Environmental Area of the “la Caixa” Foundation, after having directed the scientific museum CosmoCaixa, a reference for science museums around the world. He is the author of a dozen books and of many works of investigation on thermodynamics, mathematics, biophysics, microbiology, paleontology, entomology, scientific museology, and the philosophy of science, as well as of journalistic articles on a number of different topics.